The eyelids protect the eye, but they also can be prone to problems. Eyelids can breed bacterial and viral activity particularly where there is sweat, rubbing or poor hygiene. Examples of this are stye and chalazion eyelid infections. Patients with acne rosacea are also more likely to get eyelid infections. Chemicals used in eye cosmetics have a tendency to cause eyelid allergy. In addition medicines and food allergies can often cause swelling of the eyelids particularly the upper eyelids. What are the best ways to prevent Eyelid infections? 1. Clean hands and good hygiene are necessary to prevent dirty hands from touching the eye. 2. Regular cleansing of the eyes with a clean warm cloth is important. 3. Sunglasses and hats to protect the eyes and eyelid skin from the harsh sun. Eyelids which are droopy may be due to nerve disorder. Eye lids with eye lashes which turn inwards also known as a disease called entropion can cause pain in the eye due to the sharp points of the eye lashes touching the conjunctiva. The opposite is ectropion which is the turning out of the eyelid usually the lower eyelid so that the inner surface is exposed. 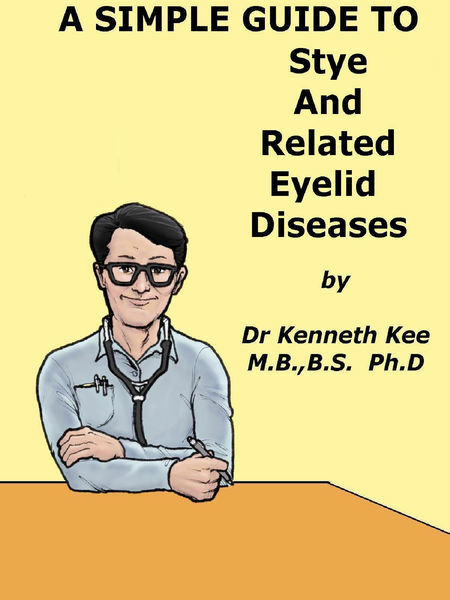 Diseases, Eyelid, Guide, Related, Simple, Stye permalink.